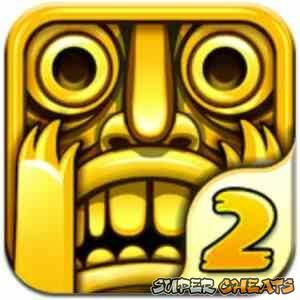 temple run 2 is the highly-anticipated sequel to 2011's endless running game from Imangi Studios. As with the first game, the premise is to run as fast and as far as you can past various obstacles to escape from the pursuing demonic ape (rather than a group of monkeys). The object is, in theory, to get away with the idol stolen from the temple that the game is based in. Use the table of contents to the right to navigate through this mini-guide, where you will find helpful tips for getting that all-important stellar run through the game. I love this game. I want to play life long. but I don't think you can, has anyone unlocked Barry ? Miser run on level 9? I love temple run 2 it's so good everyone should get it!!!! Temple run is the best game in the world because you go down a rope it is proper good and when you fall down some at will come up saying save me tap it and some at will happen to you.